Angels are one of the primary ways God delivers help to mankind. From Genesis to Revelation, God sent angel armies in chariots of fire to rescue Bible heroes, bring supernatural provision, shut the mouths of lions, break Peter out of jail and save Paul from shipwreck. But that's only the beginning. 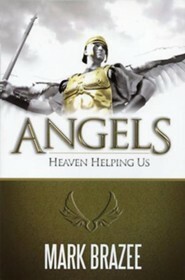 Author Mark Brazee shares actual first-hand and eye-witness accounts of angels working here on earth to help us today. Mark Brazee teaches from God's Word that angels are not chubby Cupid-like creatures sitting on clouds playing harps or women with halos featured in museum paintings. God's angels are big, strong, powerful agents of God on standby 24/7 to deliver miraculous intervention into the daily lives of ordinary people like you and me. I'm the author/artist and I want to review Angels: Heaven Helping Us - eBook.